Marine L-Drive azimuth thruster are configured for vertical variable speed electric motor input.Azimuth thruster pods can be rotated through a full 360 degrees, allowing for rapid changes in thrust direction and eliminating the need for a conventional rudder. 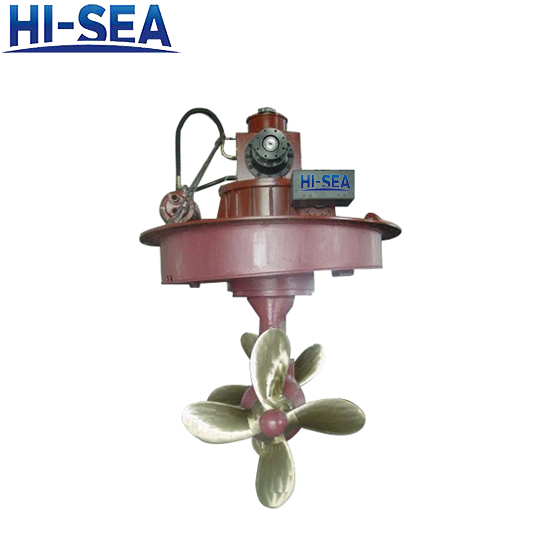 1.Available with CP or FP propeller. 2.Compact structure and high efficiency. 3.The product can be customized. The products approved by CCS,DNV-GL,BV,ABS,NK,RINA,etc.